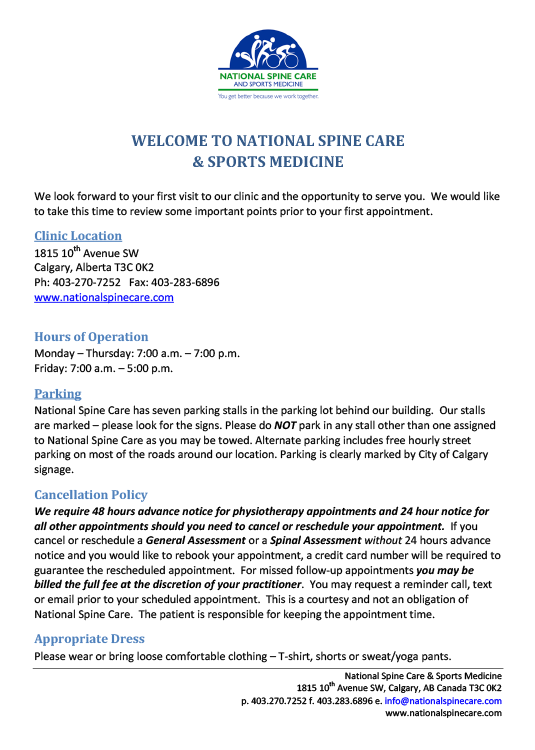 National Spine Care and Sports Medicine, is a quality Downtown Calgary Health & Wellness facility. Our multi-disciplinary team that provides a wide variety of services, all under one roof! It is our goal to support and coach you towards a lifestyle free of pain, disease and disability so you can fully enjoy your greatest life and work potential. It is our vision that we want to provide our patients with the ability to live the highest quality, most pain free lives possible. At National Spine Care, all our team members provide you with individual, personalized one-on-one care during your appointment. We are not a typical high-volume practice as our normal appointment length is 30 minutes. All to provide you with the one-on-one attention you deserve! Patients may be covered by extended insurance available through some policies. We recommend contacting your extended insurance company to confirm the details of your policy. Please note that we do not bill secondary insurance companies on your behalf, but we would be happy to assist you with your individual insurance forms. Please contact us for our current fee schedule. Note: Alberta Health Care does not cover any fees related to Chiropractic, Physiotherapy, Massage Therapy, or Nutrition, however many insurance companies (including specific Blue Cross packages and Workers Compensation) provide particular coverage. 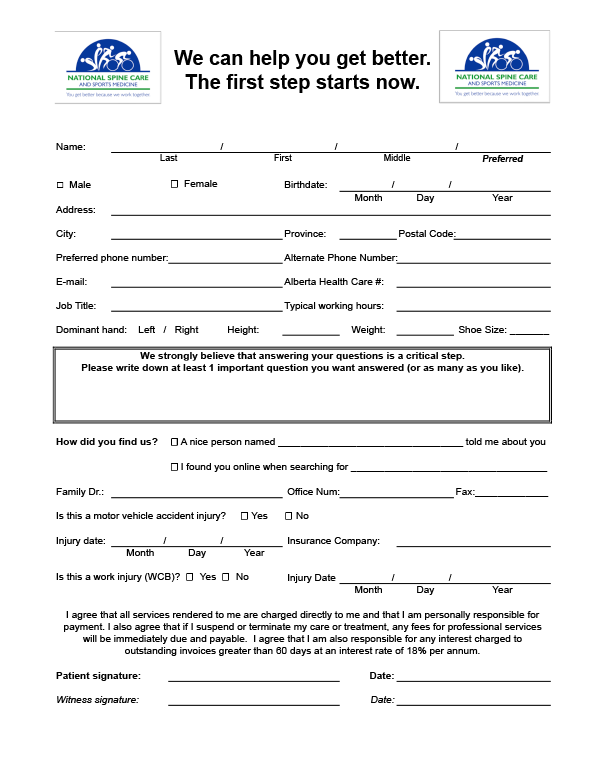 You should inquire with your insurance carrier to determine the amount covered. 7 stalls in our parking lot. The lot is at the east end of the building adjacent to our clinic entrance door. The stalls will be marked by signage. Please be respectful to only park in the NSC-designated spots. 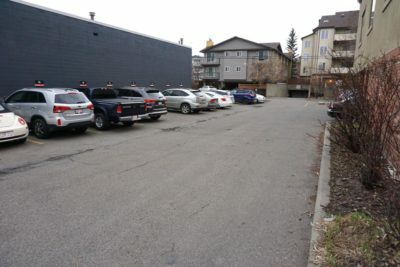 Other businesses in the building need their parking accessible. Thanks! Get your exercise game on! We’re teaming up with TCR Sportslab, an exercise, fitness coaching and training facility that uses science-based principles to help you get active and healthy. Same great staff and service! Significantly improved parking and access! Health, wellness and fitness programs for all ages and fitness levels (stay tuned for details)! Come Visit the New National Spine Care & Sports Medicine Clinic! book your New Patient consultation appointment today!